I'm so excited for the opening of the Apartment 528 Store tomorrow! I've been working like crazy to get things ready. 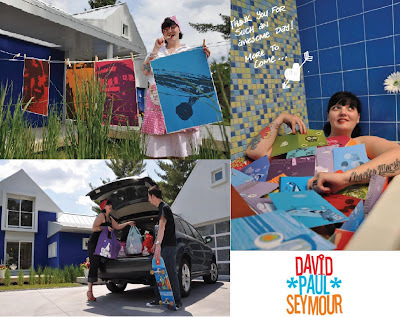 Last week, I introduced you to David Paul Seymour. David's prints, cards, and reusable totes come in a variety of retro-inspired designs that make you feel like you've taken a trip back in time. Now, it's time to show you two new designers - Joom, and Diffraction Fiber. I first wrote about Joom last spring. 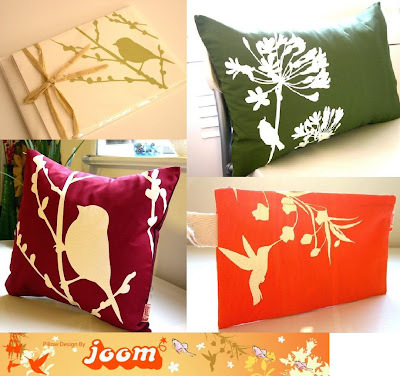 Joom brings her love of birds to all her designs. Her Bird on a Cherry Blossom pillow was just right for giving your apartment a new look. Now you can find Joom's pillows, pouches, and stationary in the Apt528 Store. 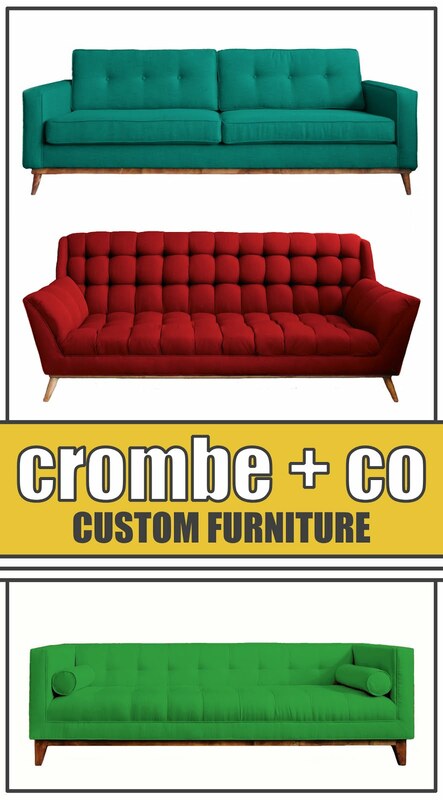 With all the color choices, you're bound to find something to match your style. Looking for a way to add some action to your life? Check out Diffraction Fiber and their super fun creations. 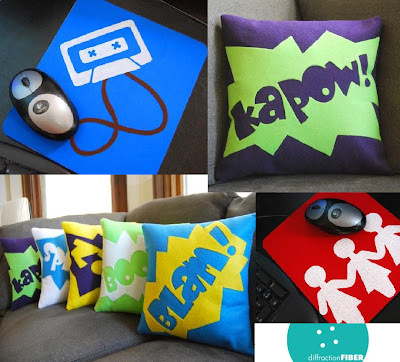 The Diffraction Fiber action pillows are sure to bring out your inner superhero. When it's time to take off the cape and get back to work, DF is there again with fun mousepads to get your creative juices flowing. Keep on the lookout the month of September for product giveaways and make sure to check out the Apartment 528 Store tomorrow. And by the way, I got married this weekend so get ready for tons of pictures and wedding-themed posts! What?! You didn't tell us ahead of time that this was the big weekend (or did I just miss that post)? Congrats to you guys, I am so happy for you! I can't wait to hear more about it. And when do we get pics of the new shop? We actually didn't tell anyone about the wedding except the people who came and some of our family. We had a small, retro-themed, 30 person ceremony and had the reception at a 1950's bowling alley. It was a blast! Pics of the shop will be up tomorrow...stay tuned! !